How to make sausage is a popular search query and many websites provide information about making sausages, however, they limit the discussion to making fresh sausage, which is a very simple product to make. The goal of our website is to cover not only basic sausage making skills, but to offer instruction on making more advanced meats like fermented and dry sausages, liver sausages, head cheeses, smoked meats and fish, and making hams. 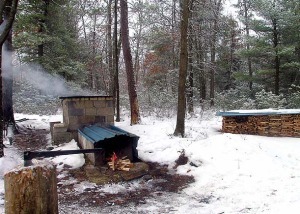 In Smokehouse Plans we offer basics rules for making meat smokers and smokehouses. Meat smokers or smokehouses come in all sizes and shapes: barrel, drum, wood and paper box smokers, smokehouses made from bricks and concrete block, the design is limited by the builder's imagination. As long as smoke makes contact with meat, the meat will be smoked. Smoking meats is easy, what is harder is to maintain high temperature inside the smokehouse in order to cook the product. 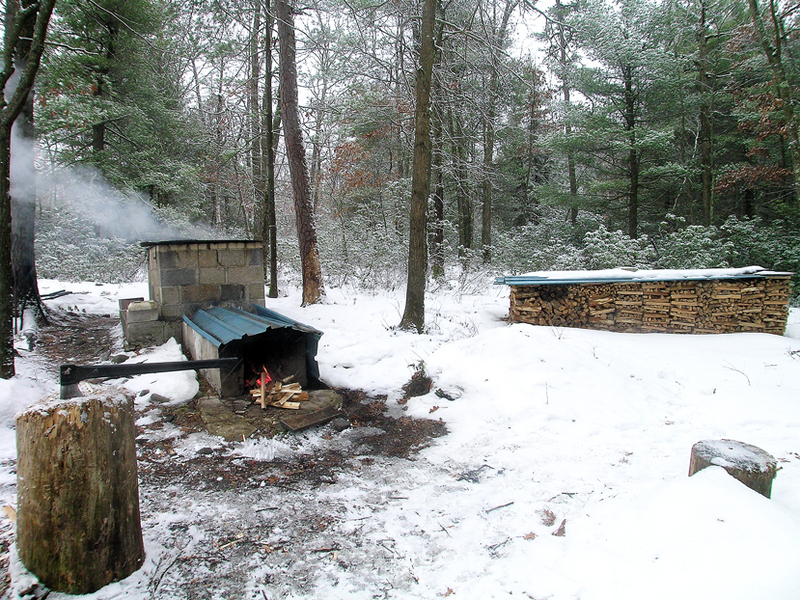 Wood logs, electric hot plate, or gas burner will provide sufficient heat as long as the smokehouse is well insulated. If cooking inside becomes the problem, smoked meat can be removed from the smoker and the cooking may be accomplished in oven or pot with water. Cooked sausages that were submitted to 160º F (72º C) internal meat temperature before storing them. 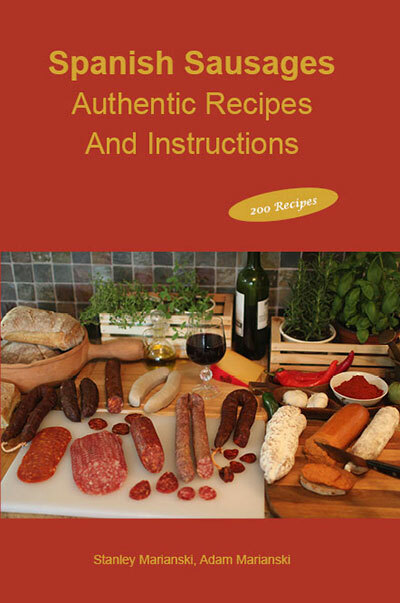 Most sausages such as smoked sausages, liver sausages, blood sausages, head cheeses, emulsified sausages (hot dog, bologna, mortadela), meat loaves and pates fit into this group. 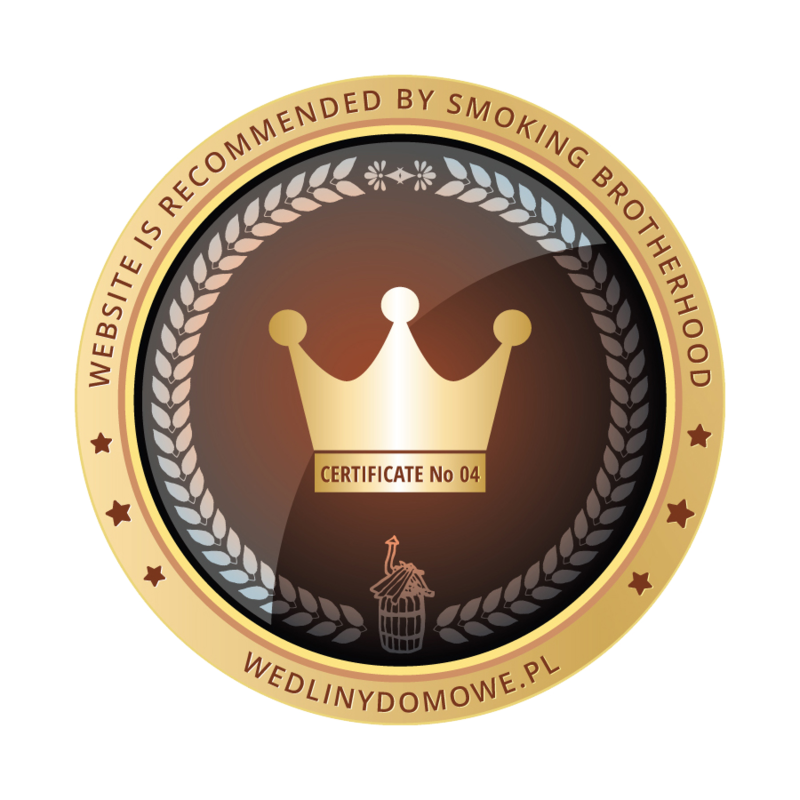 There are sausages that are smoked and air dried a few times and the finished product can be classified as a semi-dry sausage (Polish Kabanosy or Mysliwska-Hunter's Sausage) with a very good shelf life. Given sufficient time and proper storage conditions they will lose more moisture becoming in effect dry sausages. Fermented and dry sausages which can be either made by a bacterial fermentation or not. Fermentation is one of the oldest methods of preserving meats. Chopped or ground meat is mixed with spices, salt and sodium nitrite. Starter bacteria is added and the mixture is stuffed into the casing, then it is allowed to ferment and dry. The lack of moisture after drying and the developed acids inside cause pathogenic bacteria to die and the sausage can be safely eaten and stored for a long time. Except semi-dry type they are not heat processed in any way. When those sausages are intentionally fermented they develop a characteristic tangy flavor. After ground meat is mixed with spices and curing ingredients, it is stuffed into casings and submitted to a carefully controlled, long, continuous air-drying process. During that drying time the sausage loses much of its moisture and up to 40% of its original weight. In colder climates most dry sausages were subjected to cold smoking 50º - 70º F (10º - 22º C) from 10 hrs to 3 weeks depending on the diameter of the sausage. In moderate climate with steady prevailing winds (Spain, Italy) they were just heavily spiced and processed by long, continuous air-drying. Today they are commercially produced in humidity and temperature controlled rooms. Some known dry sausages are Spanish Chorizo, Pepperoni, Summer Sausage and Genoa Salami, American Jerky, South African Biltong. Dry sausages don't have to be refrigerated and when stored in cool conditions they almost have an indefinite shelf life. Fresh sausages are made from ground meat mixed with spices and stuffed into casings with the intention that the consumer will cook them prior to eating. It doesn't matter whether they will be baked, grilled, barbecued or boiled in hot water. They can be cured or cured and smoked but they are never heated to 160º F (72º C) inside meat temperature as recommended by the USDA. The exception to the rule are the dry sausages described above. As a meat patty (hamburger shape) fried on a pan with eggs or other dishes and obviously they are not stuffed into casings. Stuffed into casings thus becoming a sausage. In both cases it is the same meat with the same ingredients and final flavor that is prepared in two different forms. American famous Breakfast Sausage is served at McDonalds (Sausage McMuffin) for breakfast and it looks like a hamburger though called a sausage. The same recipe when stuffed into tiny links becomes Breakfast Sausage and is served in hospitals for breakfast all over the USA.